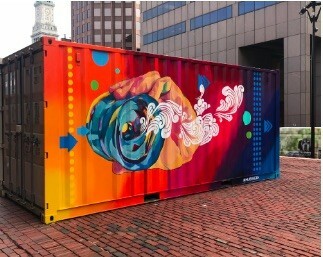 HUBweek Walls is a two-year old initiative that showcases live painted murals on shipping containers in the heart of Boston on City Hall Plaza. 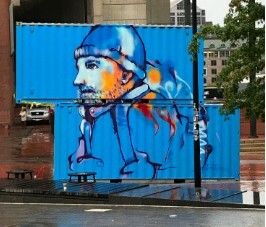 Artists painted the works over the course of several weeks. 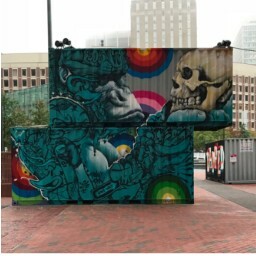 A mix of local and international artists have transformed these shipping containers with murals of all different styles. 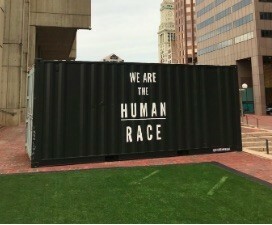 This diverse selection of artists brings dynamic color and vibrancy to the otherwise brick expanse of the plaza. Taken together, these works speak to the power of art, as the artists bring us activism, cultural critique, and messages of hope. 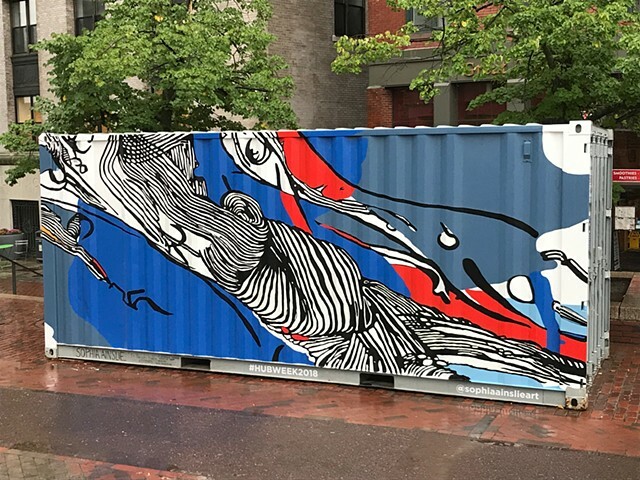 Featured artists included: Okuda San Miguel, Matthew Zaremba, Ruben Ubiera, Sophia Ainslie, Brian Denahy, Silvia Lopez Chavez, Ann Lewis, Adam O'day, Benjamin Stebbings and Sneha Shrestha. 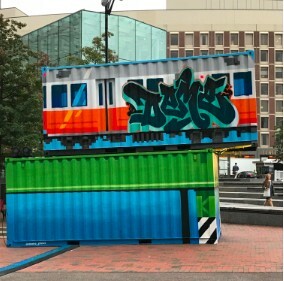 HUBweek Walls speaks to art’s ability to transform neighborhoods, as well as lives — as “street art” can have a lasting impact despite its ephemeral nature. 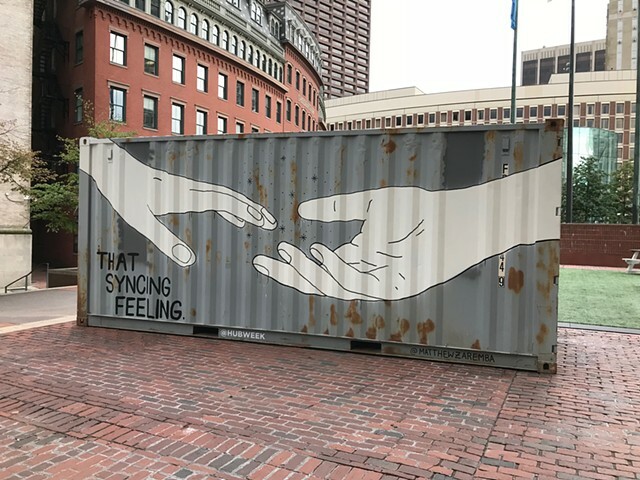 Graffiti and street art can be controversial, but it can also serve as a positive, expressive voice in a community as is evidenced in the global popularity of large scale murals. 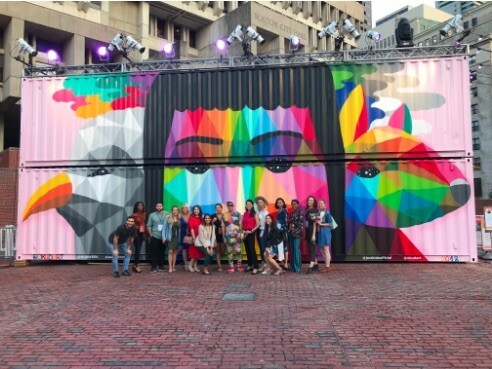 With HUBweek Walls artists hailing from Boston, Detroit, Miami, Dominican Republic, and South Africa, we hoped to capture that a little bit of that spirit. 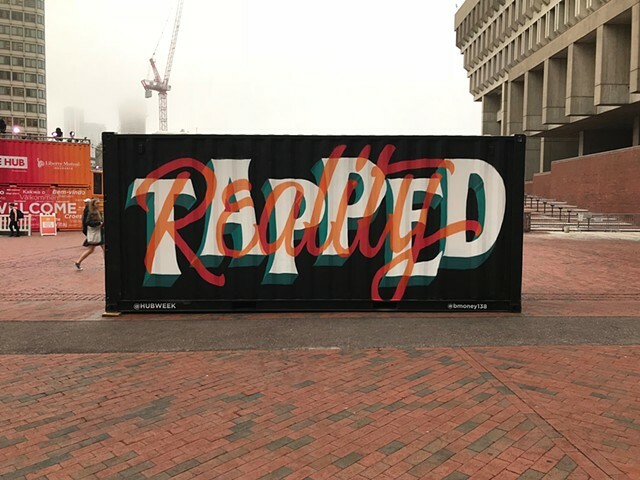 HUBweek Walls 2018 is curated by Andy Bablo, Steez Design, and Leonie Bradbury, HUBweek.